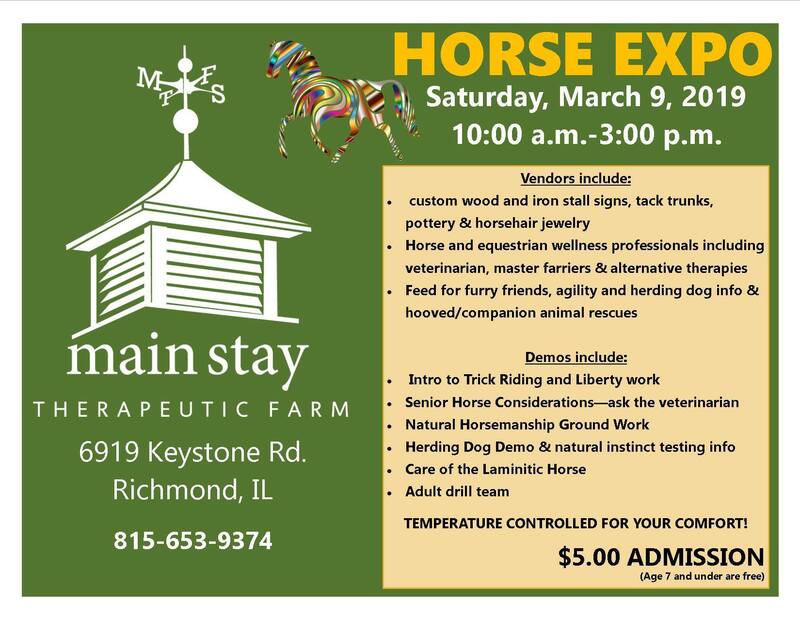 Young at Heart is excited to be participating in The Horse Expo at Main Stay Therapeutic Farm. In addition to our informational table, there will be horse demos, vendors, horse and equestrian wellness professionals as well as quality equine themed crafters, animal nutrition and local rescue organizations (just to name a few!). Stop by and see us at our table, and support Main Stay Farm, a wonderful nonprofit organization!